The summer break has come to an end and we are in the middle of that period our Francophone neighbours and friends refer to as “La Rentrée.” It’s time when summer vacations come to an end and students prepare for a return to classes while adults gear up for a busy fall schedule. That means an active agenda for the Quebec Community Groups Network. It appears our fall agenda will not include restating our opposition to Bill 14. During a PQ caucus meeting on the Gaspé Peninsula in late August, Premier Pauline Marois announced her government may allow the controversial amendment to Quebec's French language charter to die on the order paper rather than accepting to water it down any further. While Marois stated her minority government could not force the issue, she warned the ruling PQ will not stop here from working on the language front so the QCGN will remain vigilant to ensure none of the bill’s proposals are translated into regulations. In the meantime, the Marois government is throwing all of its political energy into the equally controversial Charter of Quebec Values which the QCGN will also be keeping an eye on to see how it will impact our community. In principle the QCGN Board is opposed to the notion of a Charter of Values that proposes a secular society that is neither open nor inclusive. This flies in the face human rights law and offends core societal values covered in both the Canadian Charter of Rights and Freedoms and the Quebec Charter of Human Rights and Freedoms. Until the hubbub over language and identity of the past few weeks, the summer was relatively quiet. However the QCGN kicked into gear in July when Prime Minister Stephen Harper shuffled his cabinet naming Shelly Glover, a former Parliamentary Secretary of Official Languages, to become his new Minister for Canadian Heritage and Official Languages. We met with Glover a few weeks after she was appointed and told her our Network is committed to the vitality of English-speaking minority language communities of Quebec and to supporting her in her new role as Minister of Canadian Heritage and Official Languages. The QCGN also sent a letter to former Heritage Minister James Moore thanking him for his commitment to linguistic duality and official language minority communities, including ours. 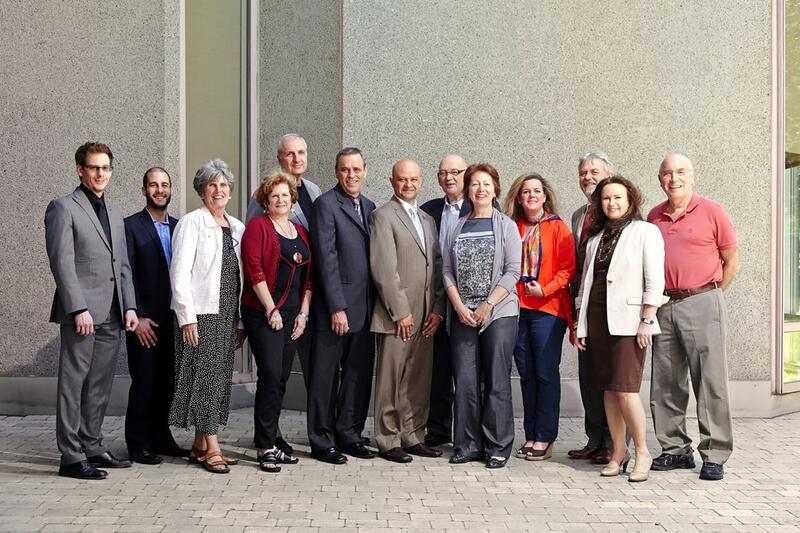 The Quebec Community Groups Network ended its annual meeting in Montreal with a renewed Strategic Plan and a consensus that Quebec’s English-speaking community needs formal representation in the provincial government. While members did not discuss what form that representation should take they were clear that our community needs a government body that is designated to advise the provincial government on the development of strategies, priorities and programs for English-speaking Quebecers. In early 2013, the QCGN produced a discussion paper related to improving the English-speaking community of Quebec’s institutional representation within the government of Quebec. The paper was discussed at two board meetings, and was the basis of a conversation held by the QCGN’s members and supporting stakeholders at the 2013 Members’ Convention. The QCGN notes that there is strong consensus among members that improving representation within the government of Quebec for the English-speaking community would greatly benefit the community. We will therefore pursue realizing this policy objective with Quebec’s main political parties in advance of the next provincial election. During the Liberal leadership race, Phillippe Couillard was dead set against the idea of delegating a cabinet minister to be responsible for the English-speaking community. While he repeated his opposition to a minister for “anglos,” he said there was nothing wrong with a committee to maintain “formal contact” with the community, noting that almost one million Quebecers are English-speaking. “We want them to be happy to be part of Quebec society,” he said. “They must have a forum somewhere where they can engage the government in order to voice their needs.” You can be sure we will hold him to that if he is elected Premier. The Board of the QCGN will be meeting to discuss how to move forward to ensure better representation for our community in the coming weeks. In the meantime, the Network is gearing up for the annual Goldbloom Awards where we will celebrate the contributions of stellar members of our community. On behalf of the QCGN, I want to take this opportunity to extend my congratulations to the winners of the 2013 Goldbloom Awards: Robina Goodwin, a retired home visit nurse and founder of the Council for Anglophone Magdalen Islanders; Judy Martin, president of Batshaw Youth and Family Centres and a governor of Muscular Dystrophy Canada; as well as Kevin Tierney, filmmaker and producer of the bilingual hit movie Bon Cop, Bad Cop. I would also like to extend an invitation to all our community and stakeholders to come and celebrate the winners and the fifth anniversary of the award on Oct. 17 at Montreal’s St. James Club. For details on the winners and the celebrations, see article below. A few weeks before the official start of summer, QCGN member organizations acclaimed a handful of new Board members Anne McCracken Fitzpatrick, a former associate academic dean at Marianopolis College; Lisa Montgomery, a graduate student in public policy and public administration; Juan-Carlos Quintana, a project development officer at the ACCESS Adult Education and Career Training Centre of Riverside School Board; Kate Shingler, managing editor of Global Montreal's evening newscast; and Richard Tardif, executive director of the Quebec Community Newspaper Association. We also have a number of stalwarts who were elected to return to the Board including our new Vice-President James Shea, Treasurer Joseph Rabinovitch and Secretary Walter Duszara. Also back on board are Brian A. Garneau from Voice of English-speaking Quebec in Quebec City; Cheryl Gosselin from Townshippers’ Association in the Eastern Townships; Clara Ann Labadie from Coasters’ Association on the Lower North Shore, youth representative Matthew Rosenberg, a commercial real estate agent; Irene Tschernomor, CEO of Montreal’s Queen Elizabeth Health Complex. For decades English-speaking Quebecers have created and joined organizations dedicated to protecting their language rights. The reality is they make up an official language minority community within the province. Over the years, these organizations — whether they be Alliance Quebec, Townshippers’ Association or the Gaspé’s Committee for Anglophone Social Action (CASA) — have had differing opinions about how to do this in the most efficient way. The Canadian Parliament adopted the first Official Languages Act in 1969 when Pierre Elliott Trudeau was prime minister. The act declares that English and French enjoy equal status, rights and privileges as to their use in all the institutions of Parliament and the government of Canada. Among the Office of the Commissioner of Official Languages’ roles is ensuring that federal institutions comply with the Official Languages Act, upholding the language rights of Canadians and promoting linguistic duality and bilingualism. To do that Ludvig’s office must develop networks, initiate discussions with federal institutions, understand the needs of minority language communities, and work with the local community groups that represent them. With a master’s degree in Canadian history and an MBA, Ludvig joined the federal public service in 1975 as an information officer. A long stint with Citizen and Immigration Canada led her to the Office of the Commissioner of Official Languages in 1994. So what attracted her to the post? Then came an important event in the province’s history. The 1995 referendum forced Ludvig to navigate a volatile situation. Ludvig says she had to learn to relate to linguistic minority communities. It forced her to advocate for and adapt to a different Quebec. To ensure that federal institutions and other organizations administer their affairs according to the spirit and the letter of the act, the Office of the Commissioner and its regional representatives investigate complaints that are brought against federal institutions and other organizations; recommend appropriate corrective measures; appeal to the Federal Court on the plaintiff’s behalf when all other avenues have been exhausted; and conduct audits, evaluations, studies, research and analysis to better understand the evolution of the status and use of English and French in the country. One of the more important tasks for Ludvig’s office is to identify emerging issues that involve English-speaking Quebecers, and to make their needs and concerns known to the government. A perfect example is Bill 14, which the Parti Québécois introduced in 2012. Ludvig says she vigilantly monitored the bill’s progress, and conveyed the English-speaking community’s fears to the government while being respectful of jurisdictional issues, in hopes that the PQ would reconsider its plan to strengthen Bill 101. Ludvig has also co-chaired a diversity committee within the federal public service and in 2010, Commissioner Graham Fraser awarded her with the Leadership Prize for her outstanding contribution to the Office of the Commissioner of Official Languages. Always one to relate to those who don’t have a voice, Ludvig has been involved in her community as a volunteer for a number of years. 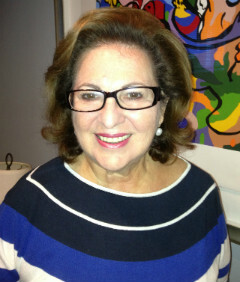 It started at her children’s school, and she eventually went on to become president of the Association of Jewish Day Schools. Ludvig has also been involved with Federation CJA where she chaired its allocation committee and co-chaired its strategic committee. In fact, the organization awarded Ludvig its Leadership award in 2007. This is the third in a series of articles about QCGN stakeholders. The Quebec Community Groups Network is pleased to bestow its fifth annual Sheila and Victor Goldbloom Distinguished Community Service Awards on three individuals with a record of outstanding leadership that has made a positive difference to the lives of English-speaking Quebecers. The winners of the 2013 Goldbloom Awards are Robina Goodwin, a retired home visit nurse and founder of the Council for Anglophone Magdalen Islanders; Judy Martin, president of Batshaw Youth and Family Centres and a governor of Muscular Dystrophy Canada; as well as Kevin Tierney, filmmaker and producer of the bilingual hit movie Bon Cop, Bad Cop. Robina Goodwin has been a pillar of her community since she arrived from England as a Red Cross nurse in 1960. Kind and compassionate, “Robbie” was available 24 hours a day and seven days a week to dispense everything from health care to advice. The founding president of the Council for Anglophone Magdalen Islanders, one of her greatest legacies was reaching out to Francophones allowing the two communities to work together in peace and harmony. As a mother, a volunteer, a Board member and an executive director, Judy Martin has dedicated countless volunteer and professional hours to improving the lives of troubled English-speaking youth and all children with Muscular Dystrophy. With the motto: “failure is not an option,” Martin works tirelessly to raise money and educate the public in support of children with special needs. Kevin Tierney has served the community with distinction as a filmmaker, leader, mentor and pioneer, notes Guy Rodgers of the English-Language Arts Network. Through his work as a filmmaker, most notably the bilingual blockbuster Bon Cop, Bad Cop that he co-wrote and produced, Tierney has contributed immeasurably to breaking down stereotypes and fostering a better understanding between Anglophones and Francophones. The Sheila and Victor Goldbloom Distinguished Community Service Award, which honours individuals who have gone above and beyond in contributing to the vitality and reputation of the English-speaking community and who have built bridges of understanding between Quebecers of different backgrounds, was created by the Quebec Community Groups Network in 2009. This year’s winners were selected by an eminent jury of past judges and past winners including: Joan Ivory, John Parisella, Gemma Raeburn-Baynes, Aline Visser, and Father John Walsh. The English Language Arts Network (ELAN) has begun work on its YEAH! - Youth, Education, Arts and Health - Resource Centre. The YEAH! project germinated from ELAN's 2013 ACCORD workshops which brought together executive directors from regional associations around Quebec. Workshop leaders powerfully demonstrated that some of the most powerful and innovative ways of motivating and engaging youth are found in the fertile territory where arts, education and health intersect. ELAN's YEAH! Resource Centre will connect communities around Quebec with specialist resource providers and with individual educators, therapists and youth workers whose past projects and success stories can serve as models for new ways of inspiring youth. - Contact information for researchers, professors and/or community collaborators. To share information, or to receive regular updates on the YEAH! project, please contact ELAN's executive director at guyrodgers@quebec-elan.org or 514.935.3312.